What, in your opinion, is most crucial when it comes to maintaining proper skin condition? Are you thinking of SPA treatments with the use of luxurious products and beauty rituals? Maybe it’s all about applying expensive cosmetics after each bath or shower? It turns out that it’s none of these ideas. The key to beautiful skin is to hydrate it. Seems like something trivial, and yet, brings amazing effects. What exactly can you expect? The answer to this question is to be found in my today’s article. When does the skin need water? You will recognize it without a problem. The skin is dry when it flakes and itches, and gets tight after bathing. There may be problems with hair and nails, while wrinkles and discolorations are likely to appear on the face and body. Is there a way to remedy this? Yes, of course. It is important to drink non-carbonated or boiled water – each day, about 1.5 liters. It is also essential to use products with humectants (substances that bind water), hydrophilic components (combine with water), hygroscopic substances (absorbing water) and emollients (moisturizing and oiling ingredients). It is not as simple as one may think. We must find a way to allow most moisturizing ingredients get into the skin. Therefore, we must use products that penetrate through the natural protective barrier and reach the deepest layers of the skin. Special ingredients that have the ability to transport other substances will be of great help. Another way of moisturizing the skin is drinking sufficient amounts of water. However, to achieve the desired effects, drink a glass of water in small sips for about an hour. The body hydrating liquids do not include coffee and tea. These two drinks have completely different properties: act diuretic and actually, deprive the body of hydration. The best products for hydrating the body from within will be: still water, green tea and diluted natural fruit juices (without sugar). Another way to moisturize the skin is to provide it with the necessary ingredients at every stage of care. Products intended for cleansing, exfoliating and skin lifting that contain hyaluronic acid, glycerol or urea will provide your skin with the right level of hydration. Daily care is worth facilitating with masks, ampoule treatments, essences, serums or moisturizing treatments suitable for at-home use. 1. Hyaluronic acid – it is a substance naturally occurring in the human body. Together with collagen and elastin, it is the building material of the skin and synovial fluid. The purpose of hyaluronic acid is to maintain the level of hydration and to control the level of intercellular fluid. It has hygroscopic properties – one molecule of hyaluronic acid can bind more than 200 molecules of water. 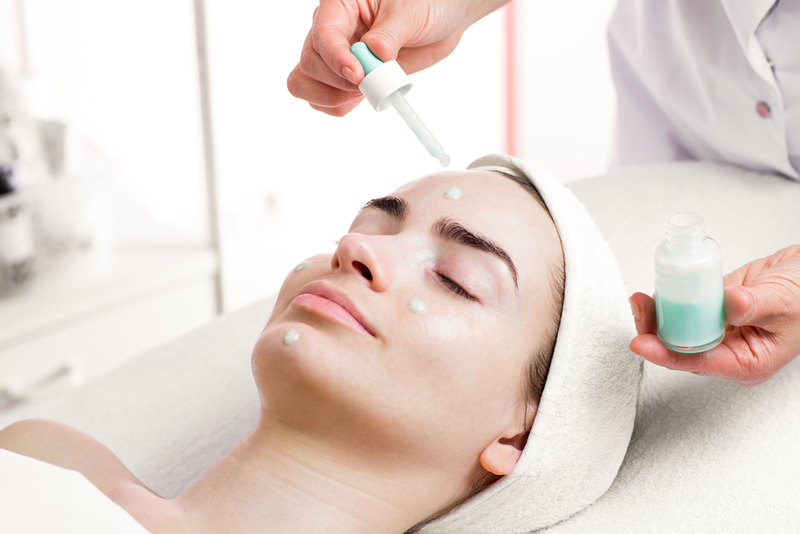 As a result, hyaluronic acid smoothes out, firms and improves skin elasticity. Also, it is even used in aesthetic medicine in skin rejuvenating treatments and for smoothing out wrinkles. 2. Collagen – a protein found in the human body, which together with elastin and hyaluronic acid forms a kind of internal scaffolding for the skin. In addition, collagen maintains the proper level of hydration in the skin, improves its density and prevents the formation of wrinkles and discoloration. Unfortunately, collagen is difficult to deliver to the deep layers of the skin. What can you do about it? You need a cosmetic with vitamin C, which will facilitate the transport of collagen to every skin cell. 3. Aloe gel – a natural vegetable ingredient with strong moisturizing and soothing effects. It maintains the right level of moisture, absorbs in the skin much faster than water, and also regenerates damaged skin and soothes irritation. Thanks to aloe, wounds, and swellings heal faster and pain of different origin is alleviated. 4. Vaseline – although it moisturizes well, it can clog pores and make the skin oily-looking. It is not of natural origin, and yet, it is safe for allergic and sensitive skin. Vaseline creates a protective layer on the skin that prevents water loss and smoothes it out. And how do you moisturize your skin and body?